With Ford Mustang hard at work for more fuel efficient sports cars for the future. The competition for Chevrolet is on, and why not the federal fuel standards are only going to get tougher. 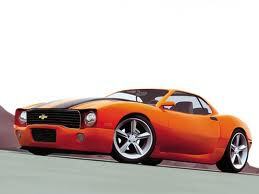 We all ready know that Mustang is building smaller and lighter sports cars and flirting with hybrid options. One can only speculate that Chevrolet has already been hard at work doing the same. 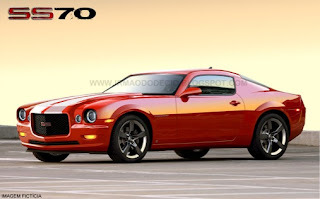 What Will the Camaro Be? The next iteration of Chevrolet’s recently reborn sporty/performance car, which is currently outselling archrival Ford Mustang. Confirmation came in early 2010 from a director of Grant Thornton LLP, a consultant to parent General Motors, and from industry-analysis firm CSM Worldwide. Those sources say the redesigned Camaro will launch in calendar 2014, doubtless as a 2015 model, and will move to the rear-wheel-drive Alpha platform that underpins Cadillac’s new ATS premium-compact car, due in mid- to late 2012 as a 2013 entry. Today’s fifth-generation Camaro uses a cut-down version of the Zeta 1 architecture developed by GM’s Holden branch in Australia and which featured on the 2008-09 Pontiac G8 large sedan. Like the car it will replace, the 2015 Chevrolet Camaro will be offered as a coupe and convertible with powertrain choices ranging from mild to wild. Reporting by website GM Inside News (GMI) suggests overall size and weight may be little changed, even though a smaller, lighter Camaro would seem almost mandatory in light of escalating federal fuel-economy standards and growing consumer preference for more fuel-efficient vehicles of all kinds. According to GMI, the Alpha program originated in late 2004 as another Holden project, but languished until 2007, when Cadillac decided to develop the platform for a long-desired challenger to the likes of Audi A4, BMW 3-Series, and Mercedes-Benz C-Class. However, as GMI notes, the project suffered “mission creep” as Cadillac decreed more and more changes that “quickly turned a light, sporty platform on its head…” Among the conditions imposed by the luxury brand were space for V6 engines as well as the intended 4-cylinder units; engineering to accommodate optional all-wheel drive; and a larger “Alpha +” platform for the next-generation of Cadillac’s CTS premium-midsize sedan. 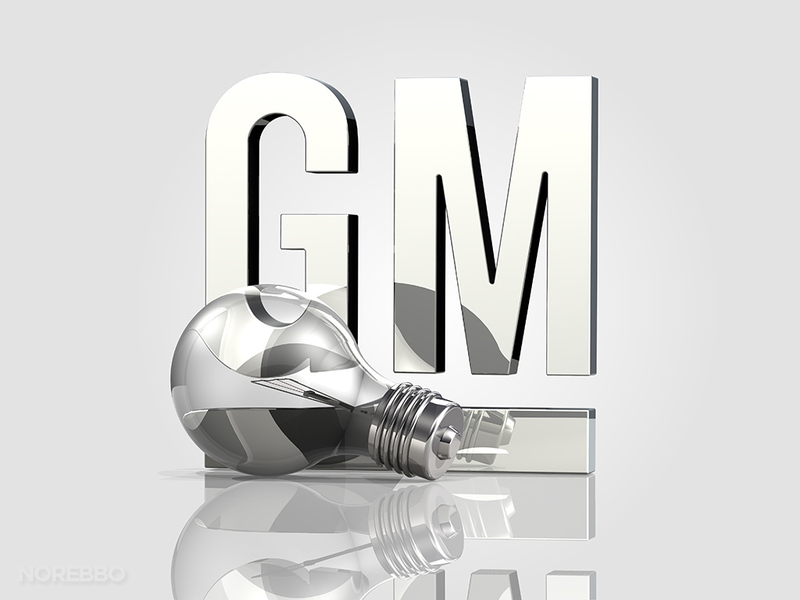 As a result, says GMI, “Each addition has caused another issue to engineer around, thus causing the Alpha program to exceed GM’s mass requirements...by nearly 500 pounds. It is unclear how heavy Alpha products will be, but every independent Alpha source…has indicated that the final curb weight could push 4,000 pounds unless GM puts the program on a [crash diet] before launch.” GMI goes on to cite company insiders and supplier sources as saying “the Alpha program has been a near-constant stream of drama and problems for GM, which were compounded by the company’s June 2009 bankruptcy. Even today, as the program nears its final stages...problems are still being worked out.” Among those are a planned multi-link front suspension that no longer works as intended with the accumulated flab and is being given the band-aid treatment rather than a full do-over. With so many issues still unresolved, it’s anyone’s guess at this point (June 2011) how the 2015 Chevrolet Camaro will turn out. Regardless of how many pounds are pared from the platform, we suspect the exterior package will be downsized to some degree, possibly close to that of the current Ford Mustang or even a bit smaller, perhaps on the order of the original 1967-69 or 1982-92 Camaros. As for engines, several sources suggest that the 2015 Chevrolet Camaro will be offered with a base 4-cylinder or two, possibly small-displacement jobs with GM’s eAssist “mild hybrid” electric drive and available turbocharging; one or more optional V6s, likely based on the company’s ubiquitous 3.6-liter twin-overhead-cam design and also perhaps with eAssist and forced induction; and a smaller but more-efficient V8 than today’s 6.2-liter, something on the order of 5.0-5.4 liters, again with eAssist likely and perhaps optional supercharging. 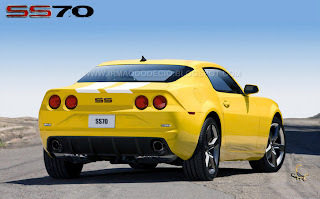 The V8 would likely be the same basic mill being rumored for Chevrolet’s next-generation C7 Corvette sports car and should be virtually all-new with the possible exception of retaining overhead-valve cylinder heads for reasons of lower cost and easier under-hood packaging, not to mention hallowed “Chevy small block” tradition. Whatever the final choices, all engines will doubtless maximize mpg with measures such as direct fuel injection, “double” variable valve-timing (intake and exhaust), and low-friction internal components. Likewise, transmissions for the 2015 Chevrolet Camaro will be chosen to provide a competitive balance among performance, fuel economy, and refinement. There’s talk of new 7-speed manual and automatic designs for V8 and up-level V6 models, but we think it more likely that GM will stick with its current 6-speed transmissions, at least for 2015-16. Other aspects also can’t be confirmed, doubtless because they’re still a long way from decided. Even so, logic suggests the 2015 Chevrolet Camaro will mimic the current car with a 4-wheel independent suspension (though doubtless redesigned), standard 4-wheel disc brakes, and good-size wheels and tires. Steering assist will probably go from conventional engine-belt-driven hydraulic to electrohydraulic or pure electric, again to maximize mpg. Styling? It’s almost sure to retain Camaro’s traditional long-hood/short-deck proportions and the current models’ wide stance, but surfacing and details will hinge on the final exterior size and on whether sales trends suggest the need for a big departure from today’s aggressive sharp-edged look. We know Ed Welburn, GM’s Vice-President of Global Design, is an avid Camaro fan, so his Camaro team will likely strive to blend familiar elements with fresh touches--and to improve aerodynamics as another aid to fuel economy. GM has been working hard to update and upgrade Chevrolet’s car line, starting with the new-for-2008 Malibu midsize sedan. The reborn Camaro is part of that effort and is evidently seen as no less important to the brand’s sales and image than mainstream products like Malibu and the new Cruze compact sedan. Remember that Chevy’s ponycar was resurrected after six years in limbo to start sale on the very eve of GM’s historic 2009 bankruptcy. As noted, the fifth-generation has lately been outselling traditional foe Ford Mustang--adding convertibles for 2011 has no doubt helped--and management undoubtedly hopes the sixth-generation will do as well or better. Even so, market conditions and buyer tastes are always changing, so it will be interesting to see if the next Camaro resonates with the public as much as the current one seems to. Of course, a lot will depend on what happens to Mustang with its upcoming redesign, expected in 2014-15 in time to mark the model’s 50th anniversary. 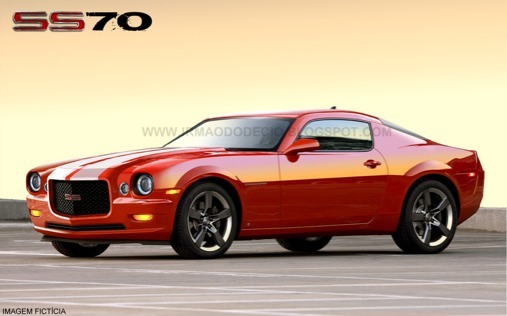 There is no mistaken, despite the many factors now conspiring against affordable sporty/performance cars, the 2015 Chevrolet Camaro is going to happen. Too bad we don’t yet know much about precisely what will happen, but we do know somewhat of what will happen. 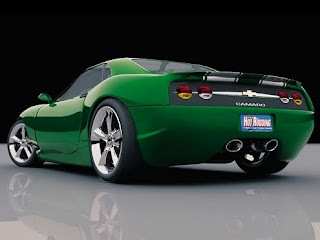 One can only hope that are American Sports Car does not turn into some that mimic those annoy Rice Burners/Tuner cars! In today's world there is need for a reliable lawyer who can give legal advice to its clients and help them settle their disputes. Because of the growing need of a reliable and efficient lawyer Advocate Roopchand Sharma providing services to the clients in the city of Meerut. Advocate Roopchand Sharma is providing services to the clients in civil law, criminal law, family law and consumer law. Advocate Roopchand Sharma provides online consultation to the clients so that they can get expert legal help from their homes. Advocate Roopchand Sharma is having more than 20 years of experience and provides comprehensive legal services to our clients under litigation of civil laws including money recovery, recovery disputes, suits related to children, wards, guardianship, estate, property, custody, execution, claims, partitions and various petitions.